Sometime during August, 1598, newly appointed governor Dam Ryung (Lee Min Ho) stays for a night at an inn run by Mr. Yang (Sung Dong Il). 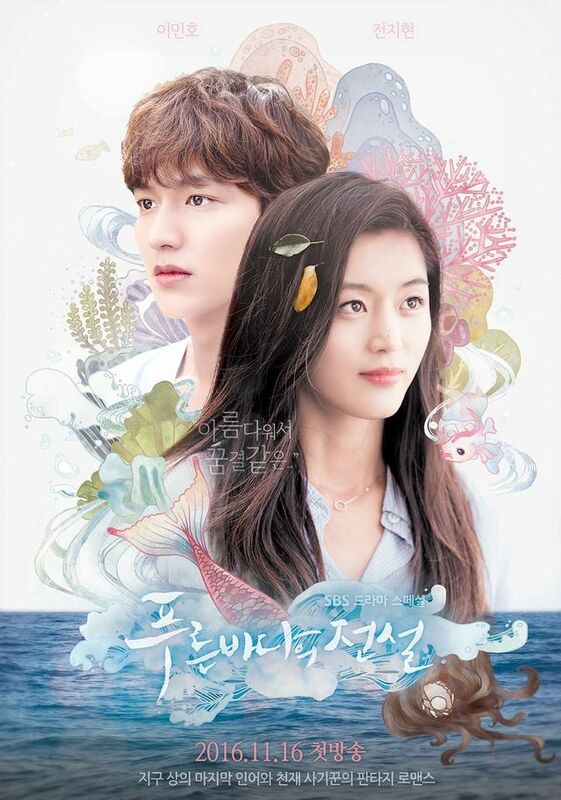 During that evening, Mr. Yang shows Dam Ryung a captured mermaid named Sim Chung (Jun Ji Hyun). Later that night, Dam Ryung releases her into the ocean and, before she swims away, Sim Chung reaches out her hand to Dam Ryung which he briefly holds. In the present day, Joon Jae (Lee Min Ho) is a smooth talking conman with magician like abilities. He works with Nam Doo (Lee Hee Joon) and Tae Oh (Shin Won Ho). For their next score, Joon Jae impersonates a prosecutor and swindles a large amount of money from a wealthy suspect's mother. Joon Jae then travels abroad and stays at an oceanside resort. Meanwhile, Sim Chung is swept up in a tidal wave and washed ashore near the oceanside resort. It has been a while ago since I watched this drama, and my review was half finished, so I’m just going to try and sum up what I feel about it with the memory of it. I can already now say that it didn’t have an exceptional impact on me. It had the same feeling over it like My Love From Another Star, and since it’s the same actress too, Jun Ji Hyun, I kinda expected something different. But I guess these kind of roles are her expertise, so she stays in the same lane. 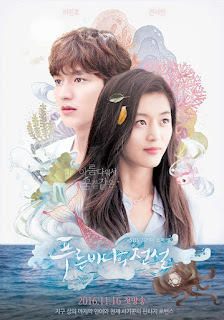 Lee Min Ho, I don’t know what to say, individually he didnt impress me, but as a couple with Jun Ji Hyun I kind of enjoyed their chemistry and humour. So I would say what saved him was his co-actors too, the 2 other conmans. One thing that stood out in this drama, was the beautiful cinematography, that I enjoyed for sure. I know this drama was really popular, but for me it didn’t hit all my expectations.